New Zealand-born actor, director and producer Anna Wilding is currently visiting her hometown of Christchurch from her base in Los Angeles following the devastating earthquake that shook the city on February 22, killing over 180 people. Anna – the founder of the Wilding Foundation – is filming a documentary about the disaster with local production crews and has written this exclusive report exploring a city brought to its knees by a disaster that has destroyed the businesses and livelihoods of thousands. I cried properly for the first time today. Slow tears that welled up from deep inside, tears that had to be kept in check in case an unstoppable and somewhat embarrassing torrent flowed out. I was at a special interfaith prayer service for victims of the Christchurch Earthquake in the beautiful building of the International Buddhist Light Association to celebrate Buddha’s Birthday. It was attended by several MP’s, City Councillors and Heads of all the churches. It is also a time at which Christchurch remembers Japan. It is six weeks to the day of the fatal earthquake that destroyed the city of Christchurch, the date that some refer to as 22/2. I am now three weeks into my intense visit to the city. I flew here three weeks after the quake. I couldn’t get on with my own work in Los Angeles in light of the situation when I knew help was needed. I was born and raised in this city. My elderly parents reside here. However, I also call America home – where I have lived on and off for approximately 17 years. Christchurch is a place I have returned to frequently through the years – it is where I grew up and the rest of my family live. I am sitting in a bar on the outskirts of central Christchurch, at the airport. It is the only hotel open this week. The rest are destroyed, save for suburban motels that now house a myriad of construction workers and engineers – up until recently they were the temporary homes of search and rescue teams. On the whole, New Zealanders – and in particular stoic Cantabrians [the people of the Canterbury region, where Christchurch is situated] – have done a remarkable job in keeping it together in the wake of one of the biggest natural disasters per capita in the world. It’s hard to know where to start when writing about a natural disaster zone. In order to best understand the effect of the earthquake, it is perhaps best to start with the layout of Christchurch as a whole. Christchurch is spread over approximately 38 kilometres. It is a case of all roads lead to Rome. Its central hub – approximately 3-4km in radius – is the centre of business, social life and tourism for the vast farming region of Canterbury. This hub, with its grand heritage buildings, is now destroyed. The region of Canterbury stretches far into the Southern Alps to the west, north towards Nelson and Picton, and south past Timaru and Oamaru, then east to the sea. Between the September 4 earthquake of 7.1 and the shallow fatal 6.3 February 22 disaster, very few parts of the residential and business areas of Christchurch – and indeed the land of the Canterbury region – have been left untouched in some way. 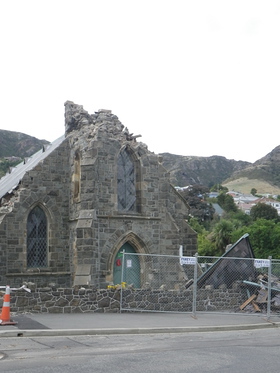 In fact Reid Stiven – Operations Manager for the Earthquake Commission – said that they even received claims from the quake as far as Dunedin. This would be about ¼ -1/5th of California. Put simply, the hub of this beautiful garden city is destroyed. What took over 100 years to build was destroyed in 42 seconds. The natural disaster appears as senseless as war, but seemingly far more random in its targets. 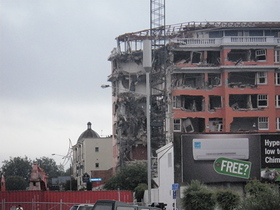 One house or building may be standing – the next three destroyed. 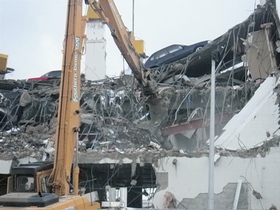 Buildings not destroyed in the central business district of Christchurch are often in the shadow of larger buildings that need to be demolished. The result of this is that most of the city is cordoned off into what is ominously called the Red Zone – a new movie title to some, the real life consequence of living near or on a fault line to others. Outside the Red Zone, in a circular fashion, are some 30-40 km of suburbs to the west, east, north and south and the small towns of Rangiora and Kaiapoi. None of these suburbs and towns have emerged unscathed – houses have been written off or are in need of significant repairs in many of the streets. Some areas may be deceiving at first glance – for example a house in a western suburb such as Ilam or Avonhead, home to the damaged University of Canterbury, may look to be in fine fettle… until closer inspections reveal cracked bricks, uneven piles, chimneys and walls crumpled on the ground. The damage to many of these homes will cost well over the $30 000 mark. That’s the good news. Many areas have fared far far worse than this. Many have lost entire houses and buildings. The eastern suburbs have been hit the worst, with liquefaction destroying many streets and houses. This city was once was home to 380,000, and overnight dwindled to 290,000 as people fled. There has been considerable relief flowing into Christchurch for which Cantabrians are truly thankful for. I know in our own appeal for the Wilding Foundation, I have had families cry when they have received assistance. Donations that have come in to all charities operating here have served not only as a reminder that there is much needed help available but also just as importantly boosted morale. Registered charities receiving funds are the large organizations like The Salvation Army, the Red Cross through to the government’s Christchurch Earthquake Relief Appeal and smaller charities such as mine, the Wilding Foundation. All serve their purpose. For my part, I have been donating our funds to those most in need, predominantly children who lost a parent or to others most in need. Many people are slipping through the harder edge criteria of some of the larger charities – but the bigger picture is that this city is going to cost at least $8.5 billion to rebuild – so no matter where donations go, they are badly needed. The Wilding Foundation also has a charter that allows for us to build – so even we are capable, if donations rise to that level, to help with the housing of evacuees or supply an Arts and Design Institute, or place of Scientific Research and Training or Sports Training. I have been exposed to all parts of Christchurch since arriving – surveying, understanding, establishing facts and seeing what is truly needed. I have learned a lot about crisis zones –how they work , and the bureaucracy that can both simultaneously positively serve and hinder relief efforts. The Salvation Army has been at the forefront of relief efforts on the ground since the start, providing meals to thousands and knocking door to door. So how is Christchurch and it’s people? The majority of citizens are getting by. That is not to say there are still tens of thousands in need, but no one is starving – thanks in large part of the Salvation Army, who are still giving out food parcels and have cooked thousands of meals. Organizations such as the Buddhist International Light Association served up thousands of meals after the quake, and church groups are pulling together and are active throughout the region. Many people are empty of cash, and need a kick start to their lives and businesses. Many of the citizens are housed, but another crisis looms – over 180 000 houses and their inhabitants will have a long wait of months – maybe a year – to get insurance claims to fix their houses. That is, if their insurance company isn’t in the process of going belly up. This leaves a population in need… a population that is proud, stoic and not used to asking for or receiving help. Many people of all ages and situations are falling through the cracks or are not eligible for donations of the larger charities. The earthquake has hit every strata of life, both the middle class and the poorer or more vulnerable. This is why Christchurch still needs your help. We have the situation of business owners who paid up to $50 000 a year in business interruption insurance… and the insurance companies are not honoring those claims due to loop holes. So these business owners have pretty much lost all they worked for and all their stock, in spite of being insured. This creates a situation in Christchurch where it is hard for many to be able to move on and set up their source of livelihood in other parts of the city. They simply don’t have the funds. Shelter is an issue. Hundreds of millions of dollars have been donated from abroad to help shelter people, feed people and help get the town back on it’s feet. However, it has been announced in the media that some evacuees will be asked to pay $190 per week and two week bond to move into a caravan in what is basically a muddy showground. Or else a temporary house for $377.00. Were Haitians or the Thai population asked to pay for temporary accommodation? This does not seem right. I know one farming family, sleeping on a living room floor in a partly destroyed house, who have to stay on their farm to feed their animals. They are operating in survival mode in a freezing house full of gaping holes. They have enough to feed themselves and their animals – but not to buy or rent a much needed caravan or pay for a temporary house! There are many stories like this. Insurance companies will take months to determine what will happen to their house. People need constructive help to get on their feet, and some are not in a position to pay $190 per week to a government department for a caravan or indeed $ 377.00 for a house. With the amount of donations coming in to the Government’s Relief Appeal, should they have to? Is this not what donations are for – to shelter people until they get on their feet? Is a few months break too much to ask? It would only cost up to a million of those tens of millions donated to provide free shelter for a few months. Shelter should be a primary focus. What is clear is there needs to be far more flow of donated funds to the wider Christchurch community… and far less bureaucracy and less stringent criteria when applying for charity funds in some instances. The government has done well through Civil Defence in repairing the roads to a drivable level, and maintaining control of the central business district to keep it safe. There were reports of minor looting in the inner city, but these are now under control. There have been some interesting stories from the private business sector. From the triumphant story of the Crown Plaza Hotel giving its staff a year’s paid leave to more problematic scenarios of the Christchurch Casino offering staff a four week redundancy package or to remain unpaid until they reopen – which may be anytime in the next 3 months to few years. Most business have tried to honour their staff where possible, and the government has certainly helped with that, providing minimum payments for six weeks to those who lost their jobs – but then again, others don’t meet this criteria, as they were not in Christchurch when the quake happened… or they are elderly, and not employed as they are retired… or others were sick and not working… or others have had to return to look after elderly part time or others are self-employed. It’s tricky, and application criteria can be a bit hard edged – though on the other hand, Christchurch people who did receive it are very grateful to have had it. As with many countries, New Zealand and especially the towns of the South Island have not been immune to a long standing and slow recession. Very few have savings of any degree, and many put it into their houses, now destroyed. Most were already just trying to make ends meet week to week. Things ultimately look positive for Christchurch – the general population is trying to be upbeat, in spite of losing so much. It is a brilliant opportunity to rebuild an incredible, safe and beautiful destination city. I know the government, private business sector, councilors and the wider community are all active and keen to play their part. Sure, many will leave, as there is little in the way of work or social life – but many are unable to leave even if they wanted to. Many will stay and watch the city rebuild. Donations will be important for a long time to come. According to Mike Allright of the Salvation Army, bottled water is crucial and important. The water rations to boil were only lifted yesterday – six weeks later – however it is full of chlorine and one more quake could create a new water shortage. What is great about Canterbury is its attitude. Help others, and help those worse off than yourself. Some of the most needy don’t even see themselves as needy and are helping others when they have no income themselves. It is time to take stock and plan for a great future for this town – but it is also time perhaps for the wheels of bureaucracy to let up a bit. Like the international community, New Zealanders have reached out their arms from around the country to help by donating or holding fundraising events. The Christchurch people have responded extremely well to this disaster. They have remained calm, stoic and a source of strength to each other. Per capita, it is one of the most impactful natural disasters in the world . 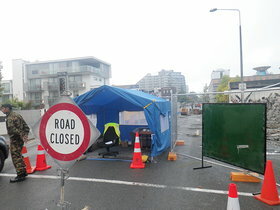 Cantabrians and indeed New Zealanders can hold their head with pride for their calm handling of the quake – however pride isn’t going to pay the mounting bills for the citizens of this city. And though the hard work will continue, cash flow is needed by donations and/or investment. Christchurch and Canterbury is still a great place to visit. Our airport is secure and fully operational. Though tourists won’t get to experience the social aspects of Christchurch so much, and may find it difficult to get accommodation for the next few months due to the bevy of engineers and destruction crews currently on the ground. But there are still all the wonderful areas that surround Christchurch – from the Skifields at Porters Heights and Mount Hutt, to Akaroa, Hanmer Hot Springs, Kaikoura and many other fine areas – all within a two hour driving distance. 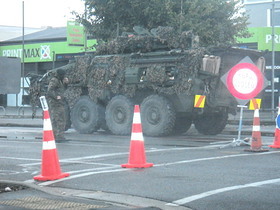 These also provide accommodation if you are unable to get any in Christchurch. Christchurch is the gateway to the rest of the South Island and remains so. The city hub and half the suburbs may have been destroyed, but the Canterbury spirit lives on. And I assure you, it can’t wait to show you around.